Sign up below or contact us at baptism@go2faith.com for more info. We’ll send you a confirmation email letting you know what to bring and where to meet. 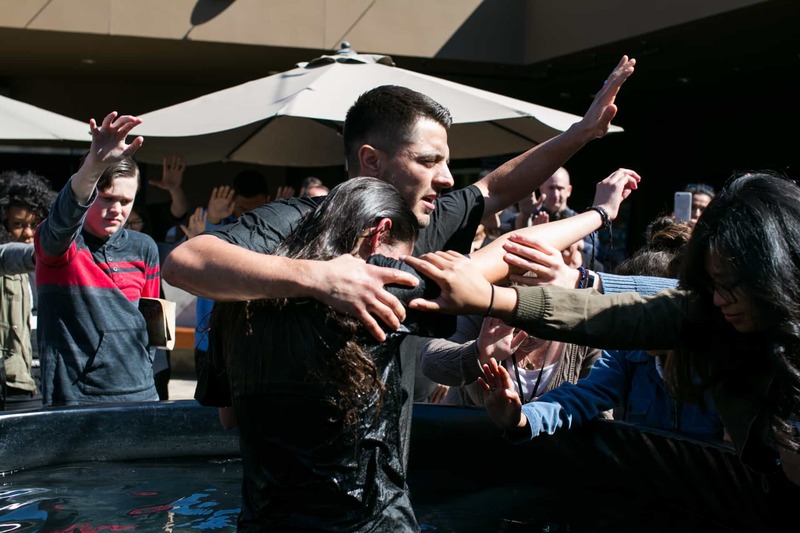 We think baptism is a personal decision that should be made by the one getting baptized to understand and be able to express her/his faith in Jesus for themselves. If your child is 12 or older, and he or she would like to take this step of faith, you are more than welcome to sign them up! If your child is between the ages of 8 and 11, we ask they speak with one of our Faith Kids' Team Members prior to getting baptized. Please contact Faith Kids at faithkids@go2faith.com or 626-858-8400. If your child is an infant or toddler, we’d invite you to have him/her dedicated to the Lord instead. You can learn more about dedications here. Congratulations on taking your faith public! We’re happy to celebrate this milestone with you! We’d encourage you to keep taking steps forward in your spiritual growth. To help with that, we invite you to attend Welcome to Church, a three-week journey designed with your next steps in mind. You will get connected at FAITH and learn Who We Are, How We Grow and Why We Serve. To sign up, visit go2faith.com/welcometochurch.